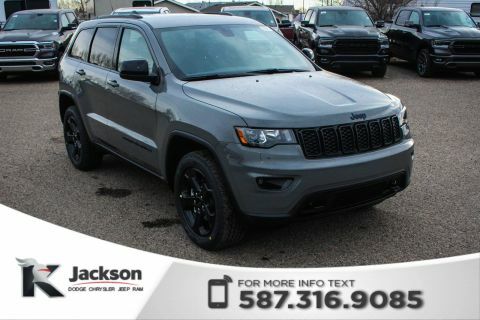 2017 Jeep Grand Cherokee Trailhawk, accident free, 8.4 inch touchscreen, navigation system, Bluetooth, satellite radio, parking sensors, forward collision sensors, blind spot indicators, remote start, leather interior, heated & cooled power front seats, heated steering wheel, panoramic sunroof and much more! 5.7L V8 engine with 4-wheel drive. Went through our comprehensive inspection and was fully reconditioned. 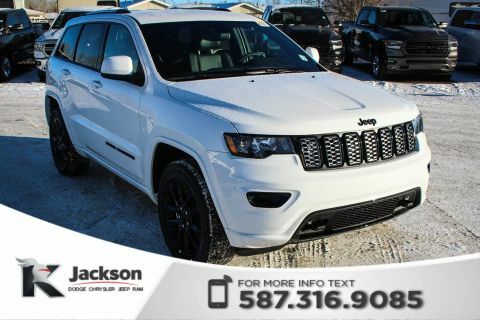 Come get this great SUV today! Get everything you want including our free LIFETIME ENGINE WARRANTY and a fair price on all our used vehicles thanks to Active Marketing Pricing! Free delivery within 300 km of the dealership! 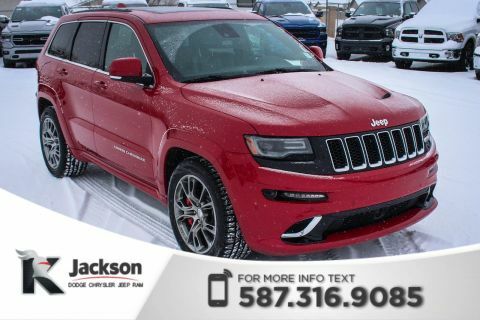 Call to schedule your test drive today! 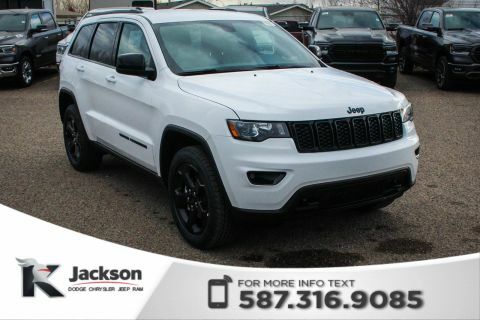 Jackson Dodge is your authorized Chrysler, Dodge, Jeep, and Ram dealership in the southeast Alberta badlands. 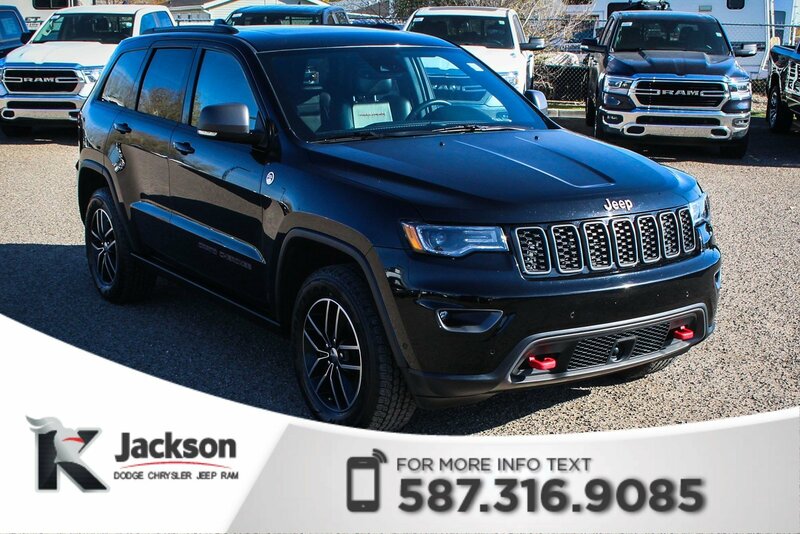 We have a great selection of new and pre-owned vehicles that are just waiting to hit the road. We pride ourselves on outstanding customer service and will do our absolute best to get you into the vehicle you want.